How do you stay motivated through the last few weeks of school? For me, this was the toughest time of the school year. Testing is over, summer is almost here and kids have a hard time staying focused. To be honest, teachers have a hard time staying focused, too! 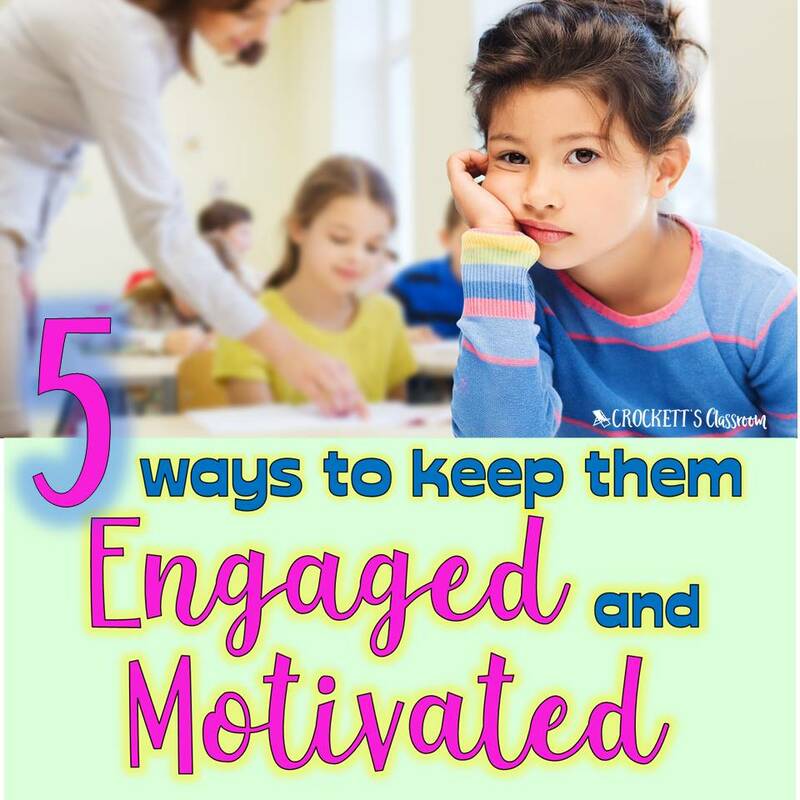 So what can you do to stay motivated and keep your students engaged in valuable learning experiences until the very end? Mix It Up! One thing that works for me is to rearrange my daily schedule. I might add something new to the morning routine or move a subject I normally teach in the morning to the afternoon. A really easy change could be the morning sponge activity. Instead of the daily language, math or reading review have them start with a drawing/writing activity. Write a prompt on the board and tell the kids they have fifteen minutes to draw and then set the timer for a 5-minute quick write. At the end of the quick write, we take a couple of minutes to share and then the paper is put in our writing folders. Students might want to expand the writing at a later time. Brag About It! Add a new element to your behavior system. 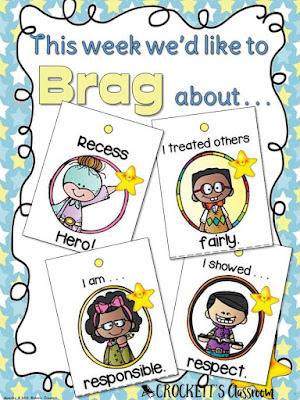 Kids love brag tags so why not add a weekly brag tag. On Monday I display the brag tag that kids have the chance to earn through the week. We talk about the behaviors or qualities they need to display through the week in order to earn the new tag. I also give them each a brag tag nomination slip. They can fill out the slip to nominate someone else in the class who they think has earned the weekly brag tag. Nomination slips are placed in a box. I go through the slips after school and give out a few tags the next morning. On Thursday I have every student fill out a slip in which they nominate themselves! They are asked to explain what they’ve done to earn the weekly brag tag. This makes it possible for every student to earn the brag tag by the end of the week. Click on this image to download this free sample so you can get started with brag tags. Expert for the Day. I start this project about 30 days before the end of the year. Each student chooses a nonfiction book with the purpose of learning something new. They read the book and do some online research to become an expert on the topic. Then they are scheduled to present what they’ve learned as the Expert for the Day. Depending on the time you have, you can schedule 2 - 4 students to present each day. Or, one year we invited parents in for our Expert day. The kids set up around the room and parents wondered through listening to the short demonstrations. Their presentation includes a demonstration along with visuals to display their new knowledge. Everyone loves seeing the creative way our classmates share their expertise. Put on a production. Kids love to ham it up so putting on a little play or reader’s theater is the perfect way to keep kids engaged during the last few weeks of school. Reader’s Theater scripts are my favorite. There are so many free scripts available is a wide range of topics. You can even have students take a well-known story and turn it into a script themselves! Start a project. Now that your state testing is over you have time for a fun project. 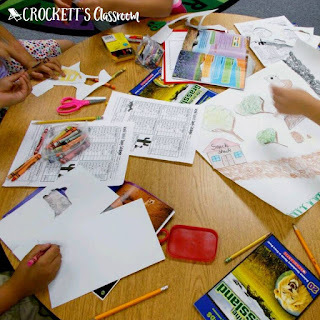 Research projects or book projects are perfect because they can incorporate reading, writing, science, social studies, art, and music. 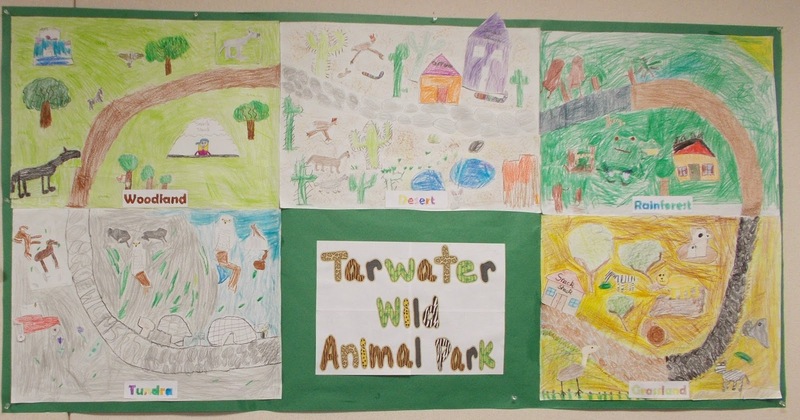 One of my favorites is a wild animal park project. The kids are divided into groups. 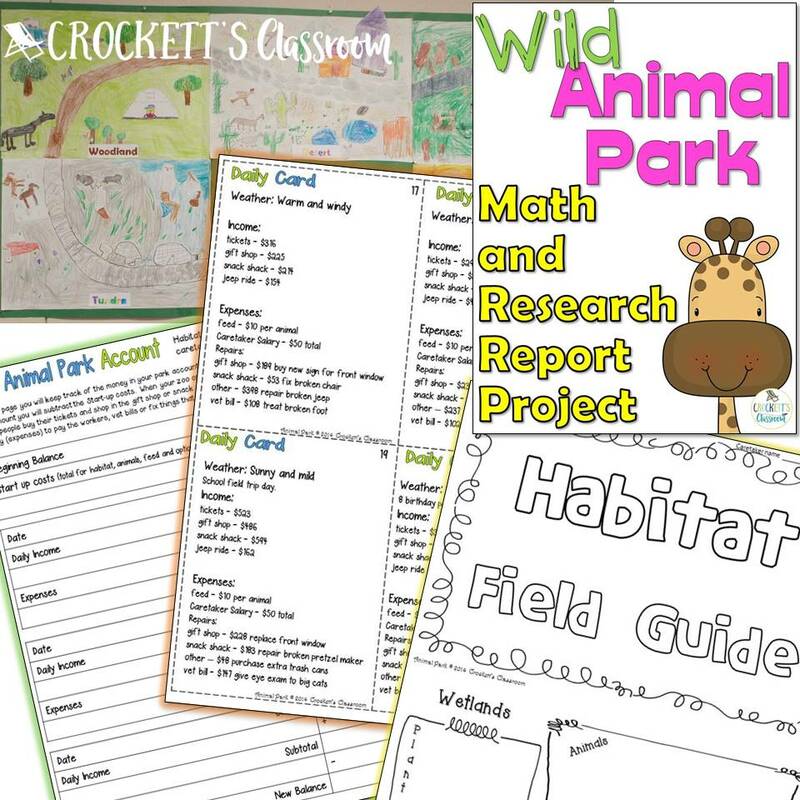 Each group will research the animals and plants for a specific habitat. 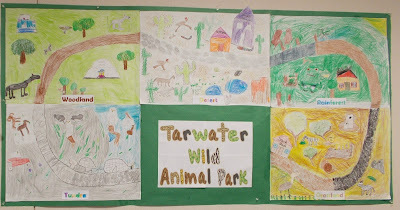 Then the group creates the part of the wild animal park for their habitat. The parts are put together to create the class park. 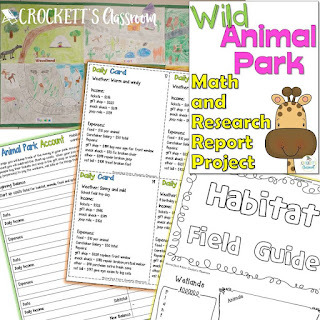 You can do sooooo much with this type of project; research, math problem solving, studying animal and plant adaptations, write songs or poems, etc. This project is available in my TpT store. Click on any of the images to check it out. No matter how you spend the last few weeks of school I hope you remember to take care of yourself. If you don’t, you won’t be able to enjoy your kids. The year has been long and probably very challenging at time. Remember to take the time to reflect on the growth and accomplishments of your students. And never forget the positive impact you’ve made on their lives.